This Cottage can sleeps up to 2 adults and 2 children or 3 adults, one queen-size bed, one twin day-bed plus futon in the living area. This Cottage is ideal for a small family and sleeps up to 2 adults and 2 children in a queen-size bed and one twin day-beds plus a futon matress in the living area. After walking down your tropical pathway, enter this gated garden and lanai. The sunny area is filled with tropical flowers - the perfect spot for breakfast. Enter through the French doors to the cool and airy living area. An open-beamed, cathedral ceiling is accented with bamboo thatch. An ideal unit for a small family. This 500 square foot Cottage sleeps up to 3 people, 2 on a queen-size bed in the bedroom area and one twin day-beds in the living area. There is no door separating the bedroom from the living area. The two rooms are separated by the bathroom and kitchen. A futon is available for an additional person or a child, to be used on the floor. A crib and other infant amenities are available. The bath is well lighted and has a glass shower. Drop leaf table with folding chairs inside. Outdoors, you can cook on the small Weber charcoal grill. No need to bring your beach supplies. We have boogie boards, beach chairs and beach towels for your use. Entertainment features are WIFI, cable T.V. and radio. Most important - we are "kid friendly." Kailua Beach offers the finest for kayaking at any level of experience. Walk the 3 mile beach at sunrise, or when the moon is high in the sky. Our stay was pefect. A quiet place at 500m from the beach and 1km from downtown Kailua. Our host was there when we needed and discreet otherwise. We may very well go back next year! Great place! We throughly enjoyed our stay in this well stocked, conveniently located bungalow. Highly recommended! It was a awesome being home and this place was like staying at a relatives house. It was homey and relaxing. Friendly dog and understanding owners. I would recommend this place for anyone who wants a quiet local style get away. Mahalo! Very private with everything we needed. Short walk to spectacular Kailua beach and a short walk to town. 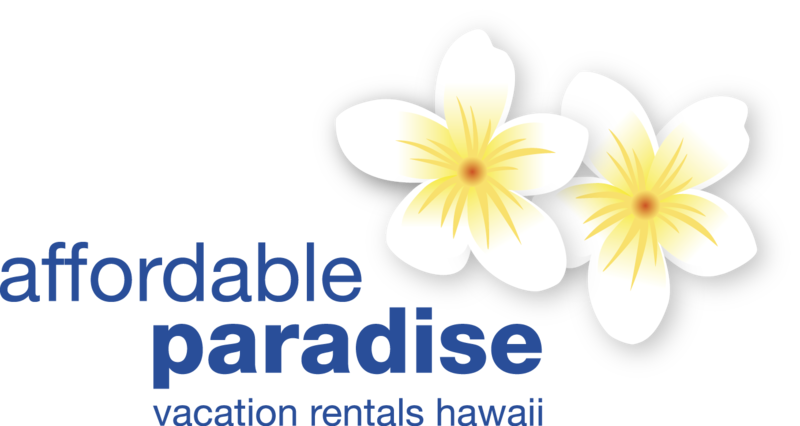 If you do not want Waikiki, this is a terrific alternative. Great cozy place to stay. Good central location. We had a lovely stay at this homey bungalow. It's located just a short walk from town and the beach, making it a perfect location. The bungalow is tucked behind the owners home. They have two very friendly and calm dogs- very well mannered and they never intruded. (although we would have welcomed them!) The interior of the bungalow is very well appointed - coffee pot, cooking utensils, etc and a hairdryer. Plenty of beach towels and beach toys including boogie boards. The bed was comfortable. The bungalow is in a lovely neighborhood and despite being in a neighborhood it was very quiet and peaceful. Michelle was very warm and welcoming and shared many reccomendations for fun and food. The weather was on the cool side most of our stay with several days of rain- the bungalow doesn't have ac but there are two overhead fans and plenty of screened windows. I loved hearing the birds chirp every morning. It was perfect for me and my college daughter. I'd stay here again most certainly. 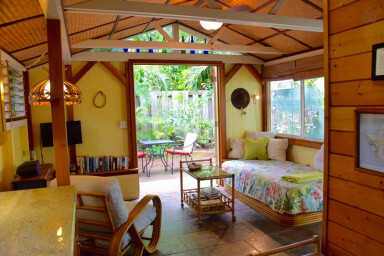 Thank you Michelle for allowing us to create memories that will last a lifetime in your lovely bungalow!